Orcon Genius phone ... ? Forums › Orcon and iServe › Orcon Genius phone ... ? What is the story with the phone that matches the Orcon Genius router? 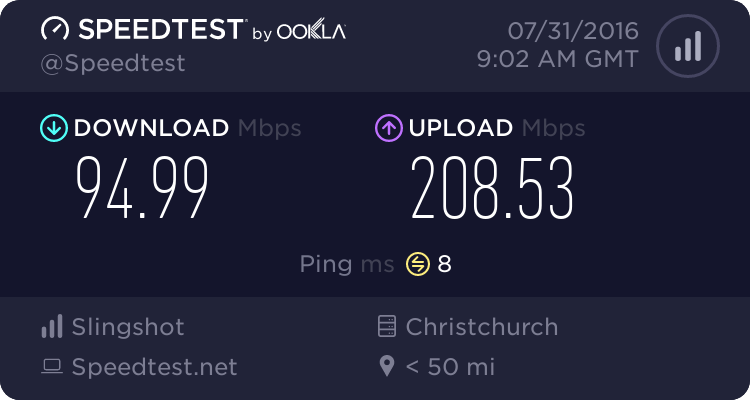 My mother has signed up for UFB in Whangarei and received the router, I thought the phone might come with it. Can you buy it, or you have to pay extra to rent, or what? Orcon's website is pretty tragic so figured I'd get faster answer here. If you want to set-up your own DECT handset, how is it done - can you just buy any off-the-shelf "extension" handset (without a base station) and link it up? How is this done securely? You can plug any handset into the back of the router. the DECT part of the genius should have a 4 digit code, you put that into the handset and it will connect to the genius. read the handbook that comes with the phone you buy. don't just buy any phone though, have a look through previous posts. i remember someone saying certain brands work better than others with the genius. Easier to just chop the phone connection from the outside world and then connect a current phone BT socket to the Genius phone socket using a standard BT to RJ11 cord. Then all the phones currently in use just work as before. I had/have no problems but I did check out my wiring to make it as short and direct as possible. My sockets are just daisy chained. I have two DECT phone masters and an old pre-electronic age phone attached. Not sure what difference extension stubs would make but someone here will likely answer that one. But I would try it and see if it works. At least you know that it CAN work! If your mum ordered the Genius lite modem, then yes it won't come with a DECT Phone. If she ordered a Genius Full and it hasn't come with the phone then thats a mistake. The lite version is designed to have a phone connected to the modem directly, like a dect base station. I think, without having access to it atm, that it is the DECT version of the Genius because from memory it has the plug on the side for the phone charger power (I mean the USB or whatever it is socket). Anyway she really wants two handsets so I am leaning more toward just buying 2 x standard DECT handsets, in which case I will have to start looking into which models guarantee compatibility and how easy it is to cost effectively buy two handsets without their own base station. Don't over think it! She almost certainly has the Genius Lite (no handset). It appears as if Orcon have dropped the handset option, probably because people reported it was not much chop. The USB port is not for charging, it is for attaching a disk. The Genius Lite doesn't have any DECT functionality so there is no 'compatibiily' issue. As for the two handsets, you buy a DECT base station with handset plus a satellite station/handset. Then you just plug the base station into the Genius phone port. Doesn't get any easier. Or, like I said earlier, you can join the extant wiring into the Genius. I just asked her on the phone and she says it has "DECT" labelled on the unit itself. Apparently the box says both "Lite" and "DECT" so go figure. Anyway unless the unit is mislabelled [?] then that sounds promising. I will have to turn it on and have a look at its firmware when I get a chance. I don't want to have to connect a cordless phone base station to the router because we want to put it in an out-of-the-way place where we don't want a phone to go, and where there's no phone jack to connect up to the existing cabling in the house - and running a cable will be a PITA. That is the final resort. If it is the DECT model you will still have to watch the range if the intended linked phone handset is a distance from the Genius. And how is she connecting to the Internet? I presume by wireless seeing as you don't want to cable to it. I guess the wireless range has been taken into account. Yeah ethernet would be even more of a b!tch. The house was only built a few years ago but it's totally impossible to add any cabling without destroying walls and ceilings. There's been no thought given to future wiring additions or maintenance by the builders at all, it's horrible. It turns out there aren't even any phone extension cables - the old copper line comes into the house in the kitchen and immediately terminates at a single jack, and that's it. BadBadBadMonkey: I think, without having access to it atm, that it is the DECT version of the Genius because from memory it has the plug on the side for the phone charger power (I mean the USB or whatever it is socket). When you go through the sign up process on orcons website it gives you the choice of genius full and genius lite. Im pretty sure both are identical, only difference one comes with the attachable handset. We have 2x uniden cordless phones linked to the genius. In modem settings go to set up voip and down the side there is dect settings where you link a cordless phone and use the genius as a base station. Or just plug the cordless phone base station into the ports on the genius to use the base station that came with the cordless phones. You are talking different ports. Both Genius variants have the USB on the network ports face to take USB storage/harddrive that is accessed via the fileserver function. The Genius Full unit has an additional USB socket on the side where the handset can dock for charging. If undocked the handset has its own power adapter. Externally it is the most obvious way to tell a Full from a Lite. Nope, fundamentally different. Full has DECT function. Lite doesn't.